Nutrient rich silts from the African Lake Region deposit along the banks and delta of the Nile River, making it one of the most fertile regions in the world. 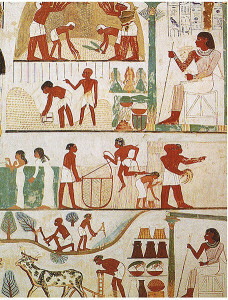 Originally archaeologists hypothesized that farmers and herders migrated to the Nile region from the fertile crescent in the Levant, but material culture from Egyptian neolithic sites suggest that agriculture had its roots in late Pleistocene foraging systems. This region is dominated by the cereal crops sorghum and millet, which Egyptian farmers planted in the flood plains along the river banks. 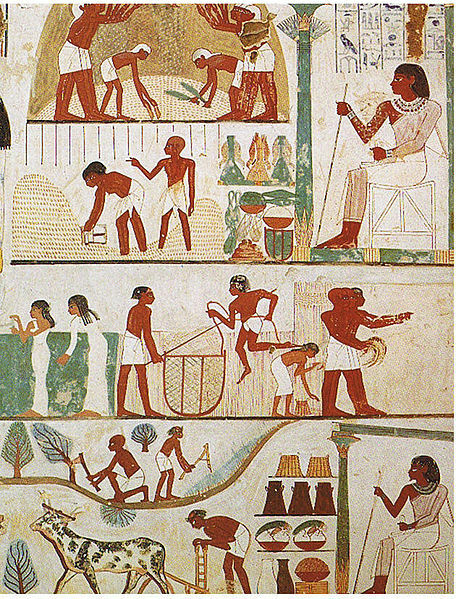 Sites in the Nile region indicate that agriculture had become popular among the foragers in the area around 5000 BCE. In addition to sorghum and millet, farmers cultivated rice, emmer, barley, lentils, and peas and herded cattle, goats, pigs, and sheep. At this site, dated to approximately 7000 BCE, there is evidence of early pastoralism. Cattle were domesticated at Nabta Playa and domesticated sheep and goats appear to have been obtained from Southwest Asia. 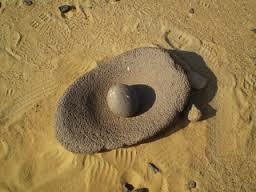 By the late Neolithic there is evidence of millet agriculture. Though rather dry today, Nabta Playa once had enough rainfall to sustain a shallow lake which could have been the main source of irrigation for the site. Without this source of water, cattle domestication would have been unlikely.